"They’re fun, it’s an interesting market. We take every competitor seriously, Tesla has proved they really have the tenacity to really go through huge losses to capture the market," Daum told Business Insider. "But trucking is a difficult business. They will learn the hard way, trucking is not like passenger cars where one size fits all. There’s a lot of variety in trucking...the United States is a highly competitive market, so as I said, they’re fun." 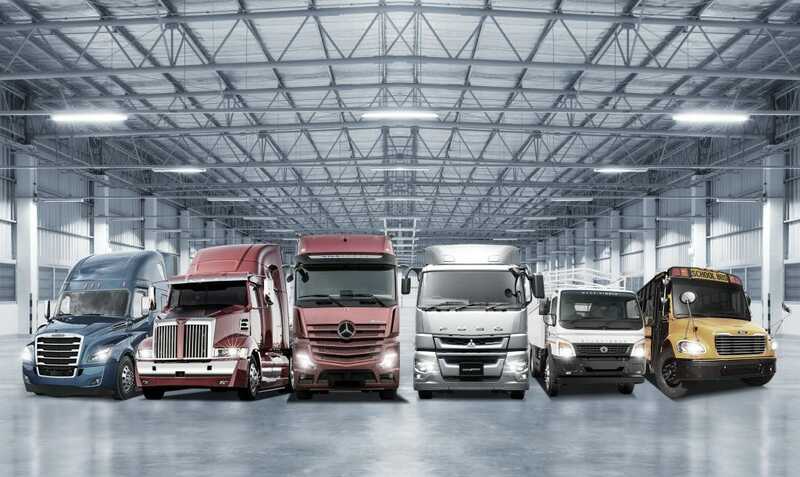 Daimler Trucks, which sold more than 500,000 trucks in 2018, is a global leader in trucks, and Daum said it intends to stay in that position. In the North American market — which includes the United States, Mexico, and Canada — the company sold 176,000 trucks last year. Daum said that the vehicles within this category include everything from school buses and delivery van chassis, up to large 120,000-ton specialized trucks. But Daum said the company can only afford to develop and build trucks of this variety because it has a global footprint, which is something Tesla is still working on. "How do we survive? Because we run a global business. I don't just look at the 176,000 North American trucks, I look at the more 500,000 trucks we sell worldwide... And that is a unit number you need to survive ultimately. Of all players in the North American market — Volvo, Navistar, in the association with the Volkswagen Group, and Paccar — we all have one big global footprint," Daum said. "So for Tesla, it is a long way for it to get that. Not making fun of them, we take them seriously. In their niche, they could be successful, but to be ultimately the fifth player in the North American market, it’s a long way and we won’t make it easy for them."